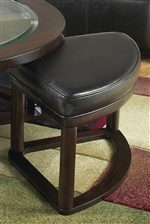 Perfectly capturing the beauty of contemporary styling, the Round Cocktail w/ 4 Backless Stools features four matching stools beautifully upholstered in a medium brown faux leather upholstery that fit flawlessly underneath the table. 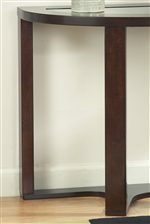 Pull out these luxurious stools for extra guests and a night of fun and games and push these stools in when you're done to save space. 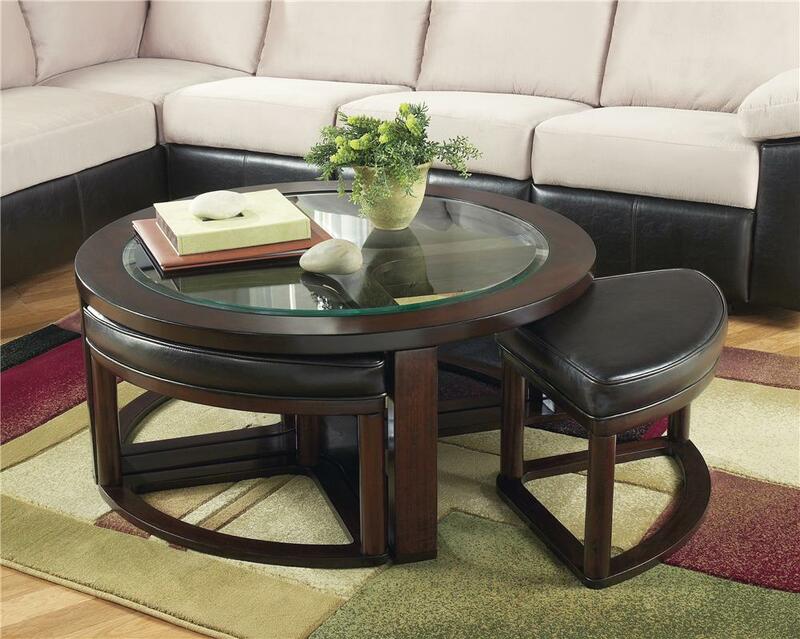 A great way to provide extra seating, enhance your living room with the contemporary style of the Round Cocktail w/ 4 Backless Stools. 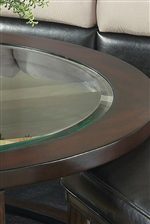 The Marion Glass Round Cocktail Table w/ 4 Backless Stools by Signature Design by Ashley at Michael's Furniture Warehouse in the San Fernando & Los Angeles area. Product availability may vary. Contact us for the most current availability on this product.